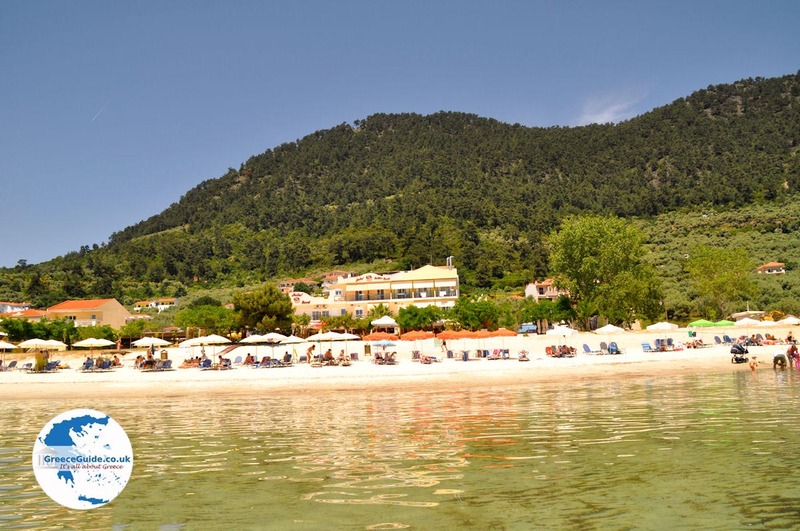 Golden beach (Skala Panagias) is the beach of Panagia. 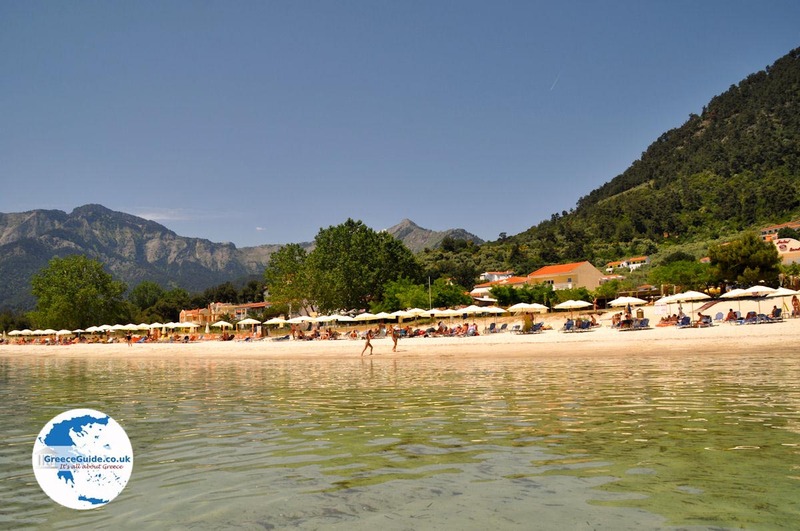 It is especially known for its beach "Golden Beach" or as the Greeks say “Chrissi Ammoudia”. 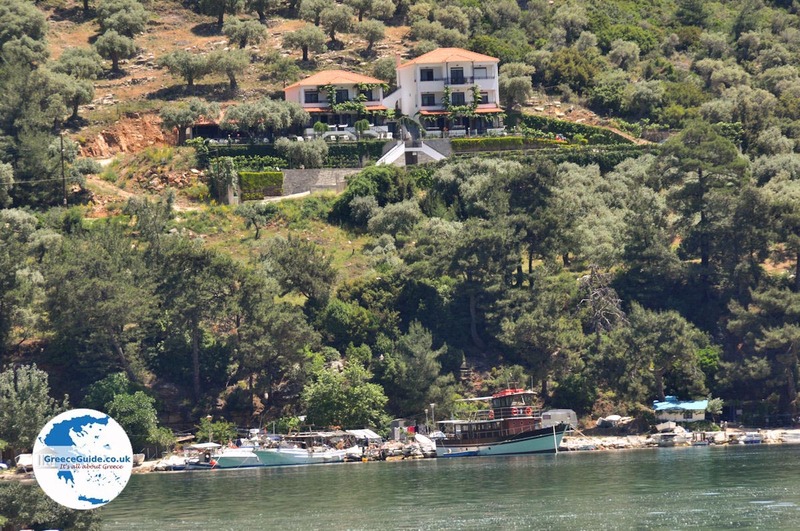 Where the mountain village of Panagia has preserved its original traditional style, Skala Panagias has become a tourist resort, where numerous restaurants, cafes, souvenir shops and bars are located. 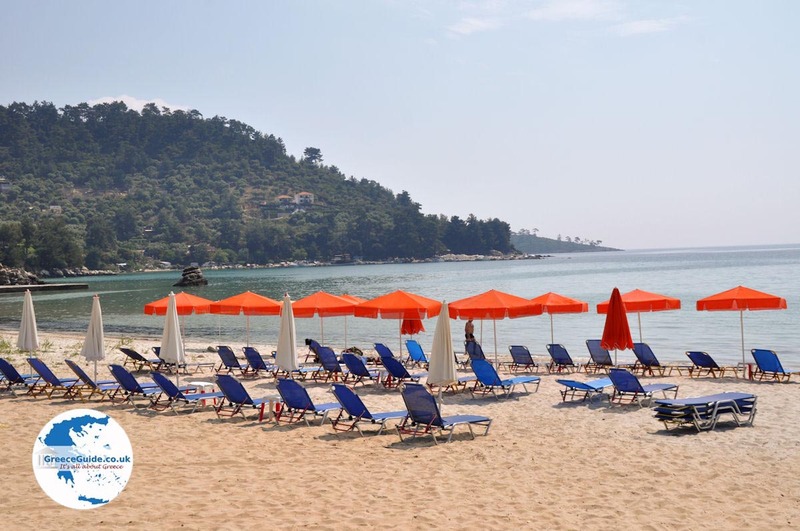 Skala Panagias lies 12 kilometres southeast of Thassos, and attracts thousands of tourists every summer. It is located in an idyllic setting where the trees come right up to the white beach, and where the turquoise colours of the sea make the beach look like a Caribbean beach. 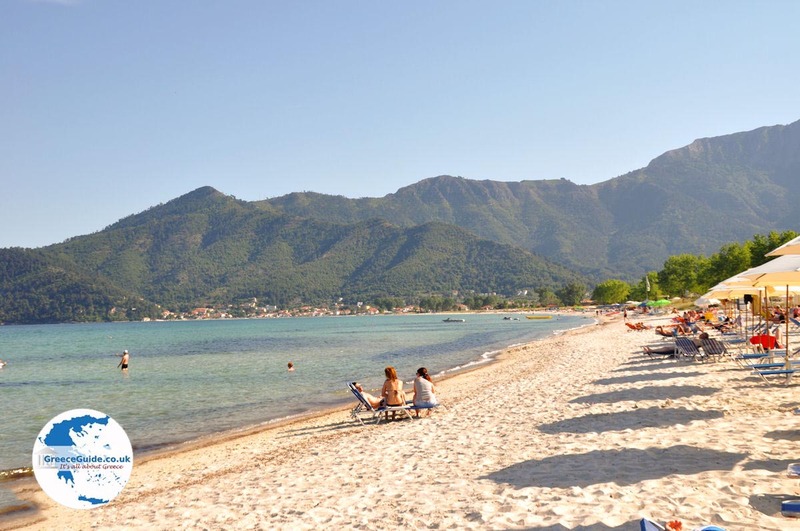 The beach at Golden Beach is located on the northern side of the bay and adjacent to the beach Chrissis Akti (Golden Coast) at Skala Potamias which is in the south of the bay. It is a 2.5 kilometre long sandy beach where all kinds of water sports are possible . 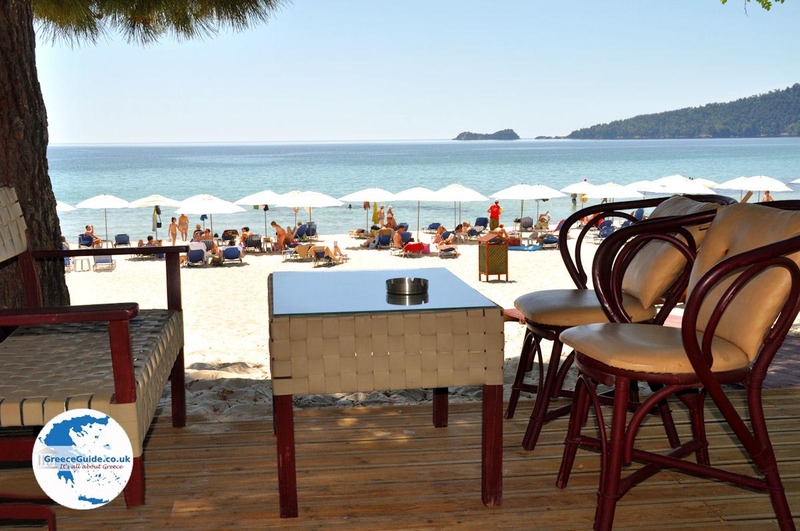 The beach is well organised and there are beach chairs and umbrellas available. 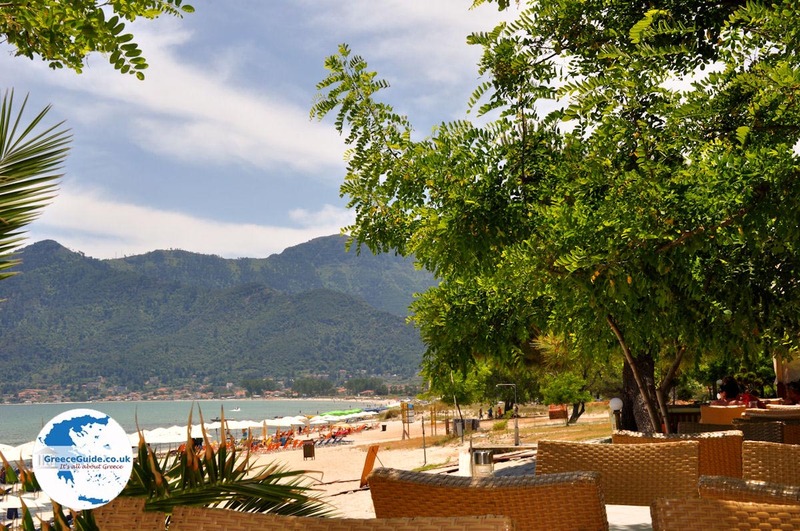 Beach Chrissi Ammoudia is nominated with the Blue Flag standard. (Blue flag is the eco-label for clean beaches). 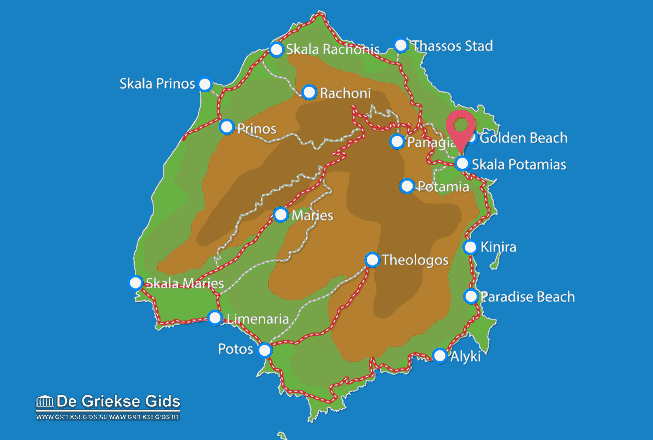 Thassos: Where on the map is Golden Beach located?